The southwest provides inspiration for beautiful works of art, but for Roz Menton it is a way to express her heritage. With a mother that was part Cherokee and a great-great grandfather that was a Cherokee faith healer, Menton has the spirit of the southwest flowing in her veins. That serves as the inspiration for her Creative Southwestern Designs collection. 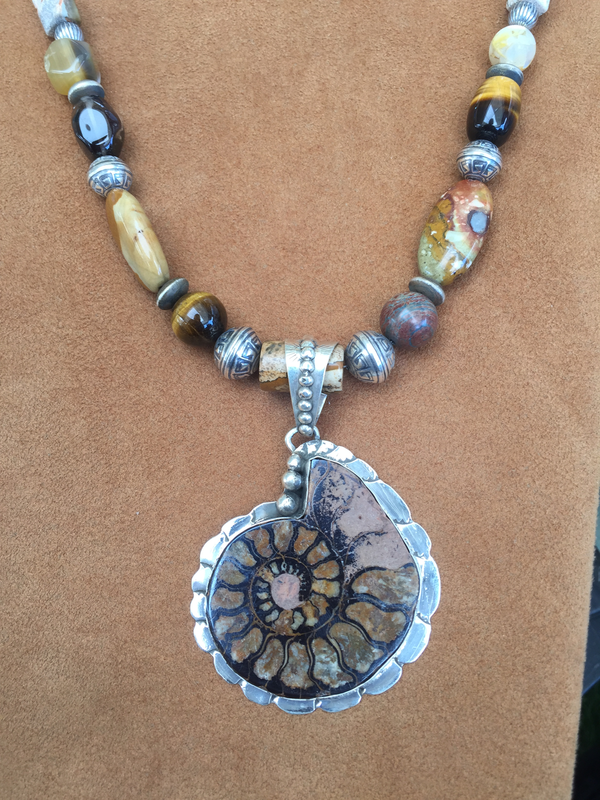 Menton puts her own spin on southwestern jewelry, creating necklaces, bracelets and pins that embody the southwest. While she has lived many places, Menton says Albuquerque was her favorite spot, something she tries to include in her designs. As such, Menton only uses authentic stones in her work, including turquoise, lapis and hematite. "I try to carry unique, one-of-a-kind items, in a wide price range,” she says. Visit a Sugarloaf Crafts Festival to see a wide variety of her work in person and meet the artist behind these designs. Menton can share with you the stories behind each design, letting you know why each one is special.